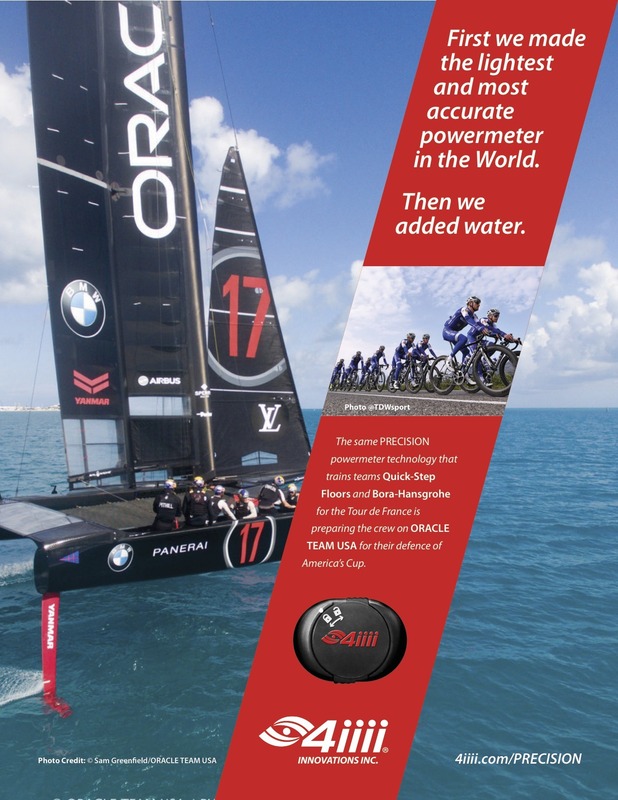 4iiii Innovations, a Cochrane, Alberta Company, will be aboard ORACLE TEAM USA’s hydro-foiling catamaran when the sleek carbon fiber vessel takes to the waters off Bermuda in the summer of 2017 to defend its victory against New Zealand in 2013. 4iiii CEO Kip Fyfe comments that “we’re proud to be providing PRECISION powermeter technology to monitor the ‘grinders’ who operate the winches on the wingsailed cat. PRECISION is not only the most accurate and lightest powermeter in the world, it’s also completely waterproof. Our proprietary technology, together with the expertise of an inspired 4iiii team, has made the adaptation from land to water possible. 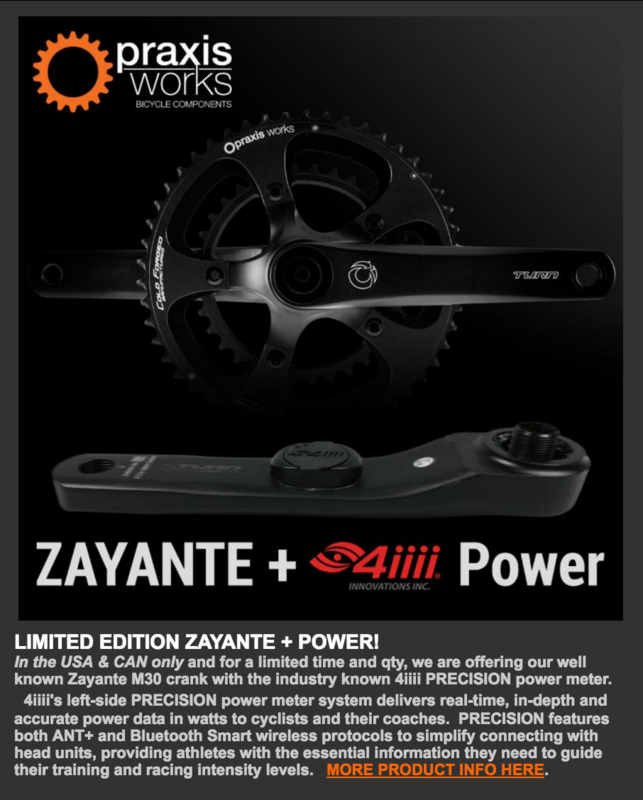 The 4iiii Innovations PRECISION powermeter measures power output and energy in watts. 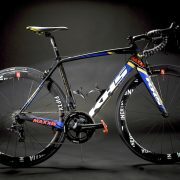 The device is an adaptation of the technology that has made the Company the dominant powermeter on the World Cycling Tour and the choice of Tour de France Quick-Step Floors Cycling Team and BORA – hansgrohe. PRECISION is not only the most accurate and lightest powermeter in the world, it’s also completely waterproof. 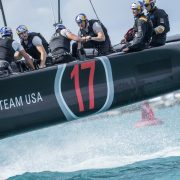 The 34th America’s Cup recorded one of the most remarkable comebacks in sports history, as ORACLE TEAM USA recovered from 8-1 losses to fight through to the final race and claim victory. 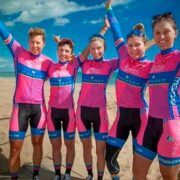 4iiii Innovations is a major force in the running and outdoor/indoor cycling disciplines offering a full range of industry leading products including PRECISION and PRECISION PRO powermeters, Viiiiva heart rate monitors and the Sportiiii glasses-mounted performance coach. September 21, 2016 (Cochrane, Alberta) – 4iiii Innovations is hitting the trail with PRECISION PRO, the world’s lightest dual-sided powermeter for mountain bikes. Refining the design of the Shimano FC-9000 Dura-Ace PRECISION PRO Powermeter, 4iiii is bringing the PRECISION PRO dual-sided powermeter to the XTR FC-M9000, FC-M9020 and the FC-M8000 cranksets. Ridden and trusted by professional road cyclists already, PRECISION PRO delivers exceptional accuracy and dependability under the most extreme conditions and terrain. PRECISION PRO has carried Etixx – Quick-Step Cycling Team to 50 World Tour victories this season. Having delivered in the harshest conditions on the World Tour, PRECISION PRO is now ready to hit the trails. At a total of 18g, the new PRECISION PRO Powermeter for mountain bikes has no peer in the cycling industry. 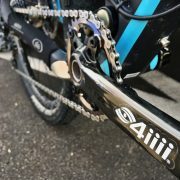 PRECISION PRO for mountain bikes will be released in October starting at $749.99 USD for factory install and can be ordered online at www.4iiii.com. The PRECISION PRO powermeter can be seen and experienced at booth 18071 at Interbike in Las Vegas. The Zayante + Power…yep. You read that correct! 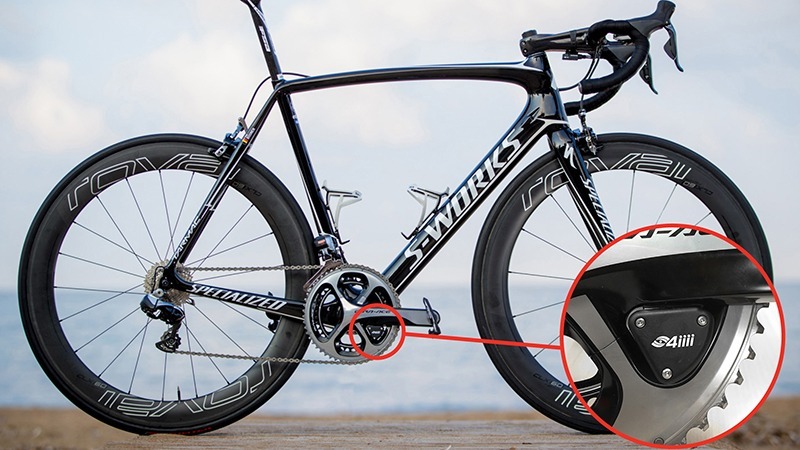 The 4iiii’s left-side PRECISION power meter system delivers real-time, in-depth and accurate power data in watts to cyclists and their coaches. 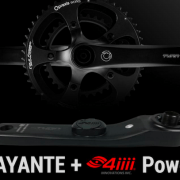 April 14, 2016 (Cochrane, Alberta) – 4iiii Innovations Inc. (4iiii), official partner and supplier of power measurement to the men’s World Tour Team Etixx – Quick-Step, announces that the dual left and right power meter, PRECISION PRO, will be commercially available this July. This offering will be introduced through the company’s established Factory Install program for $749.99 US and initially installed on customers’ and dealers’ own Shimano’s Dura Ace 9000 cranksets. 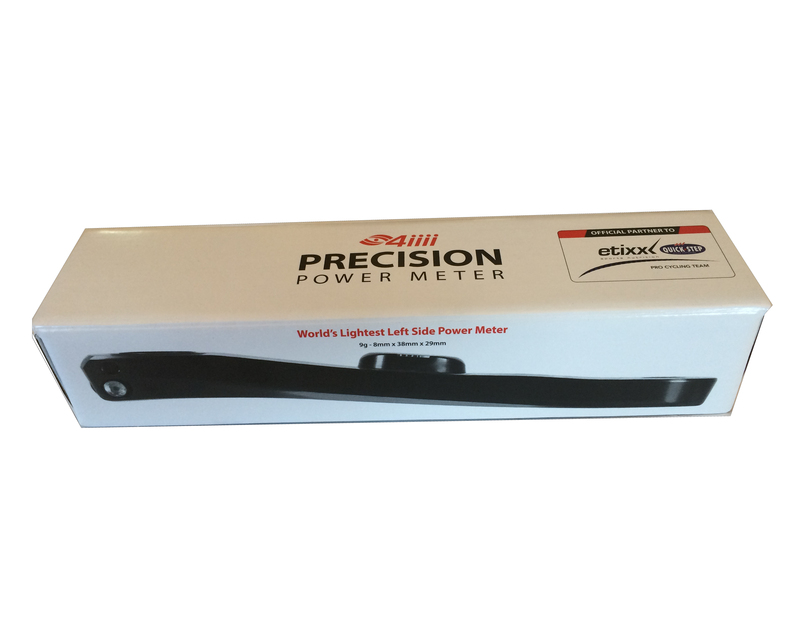 This is the first dual model to ship from the long anticipated family of dual (left and right) PRECISION power meters. 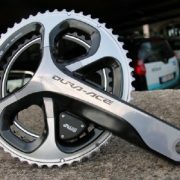 The company will disclose its roadmap to address dual on a broader family of cranksets in the fall. PRECISION PRO utilizes the company’s novel, patent pending 3D strain gauge technology to deliver industry-leading 99%+ power accuracy. The right and left power meters communicate creating a dynamic backup system that increases redundancy to ensure every ride is measured. The sophisticated device also provides cadence, broad head unit and device compatibility through both ANT+ and Bluetooth Smart wireless protocols, easy calibration, as well as over-the-air firmware upgrades using the 4iiii iOS and Android apps. The company continues to design its left side power meters with the core capability to upgrade to a dual system when it becomes available. Owners and dealers with left PRECISION power meters on Dura Ace will be able to purchase upgrades online starting in May for a July delivery. 4iiii Innovations Inc. is a global, Canada-based leader in providing innovative sports electronics to both OEM and retail markets. 4iiii has a complete family of products that take sports technology to a whole new level. The PRECISION power meter, Viiiiva heart rate monitors, Sportiiii heads-up displays as well as the 4iiii and Cliiiimb apps – are all intended to leverage technology for advancing the athletic performances of enthusiasts through to professional athletes. 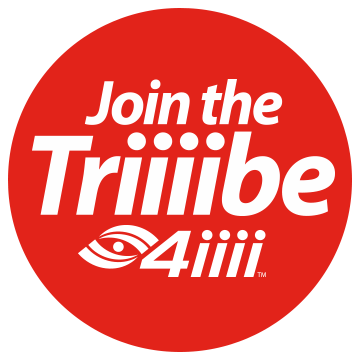 For more information: www.4iiii.com. 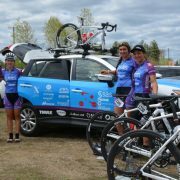 April 14, 2016 (Cochrane, Alberta) – 4iiii Innovations Inc. (4iiii), a global trendsetter in sport monitoring technology, introduces the industry’s first, patent pending 3D crank based power meter, PRECISION 2.0. Using a new streamlined and lightweight pod design and building on the robust technology of its predecessor, PRECISION 2.0 delivers industry-leading 99%+ power accuracy, dependable cadence data, broad head unit and device compatibility through both ANT+ and Bluetooth Smart wireless protocols, easy calibration, as well as over-the-air firmware upgrades using the 4iiii iOS and Android apps. 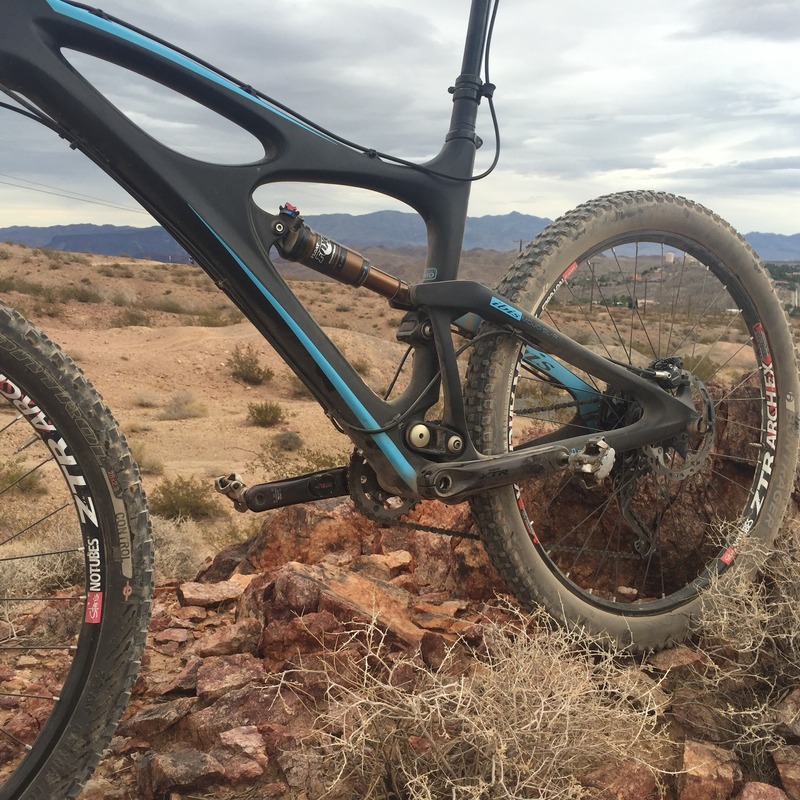 In addition to its novel, patent pending 3D technology, PRECISION 2.0 comes to market in two delivery methods, Factory Install and Ride Ready. Through the company’s custom Factory Install program, users and dealers can send in their compatible left aluminum cranks now for immediate installation. 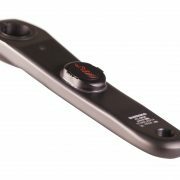 This offering accommodates customers with tight frame/crank clearance combinations and enables riders to utilize compatible cranks not available in the Ride Ready program. 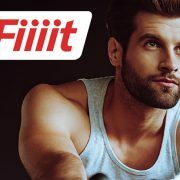 With a retail price of $399 US, the Factory Install offering can be purchased now at 4iiii.com and through participating dealers with a current lead time of one to two weeks. With its sights on building strong dealer relationships for the sale of its PRECISION 2.0 power meters, 4iiii introduces the new Ride Ready offering. Available for purchase now and on shelves starting in July, Ride Ready is an off the shelf left crank power meter with initial offering in three Shimano road models and two Shimano mountain bike models. PRECISON 2.0 in Ride Ready starts at $399.99 US. The company’s first left and right dual PRECISION 2.0 configuration, also being announced today, will similarly feature 4iiii’s patent pending 3D technology and be available in July through the Factory Install program. 4iiii Innovations Inc. is a global, Canada-based leader in providing innovative sports electronics to both OEM and retail markets. 4iiii has a complete family of products that take sports technology to a whole new level. 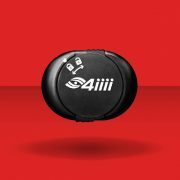 The PRECISION power meter, Viiiiva heart rate monitors, Sportiiii heads-up displays as well as the 4iiii and Cliiiimb apps – are all intended to leverage technology for advancing the athletic performances of enthusiasts through to professional athletes.. For more information: www.4iiii.com.